2016 was the starting point for the face of (bi-cultural) transgender folk. 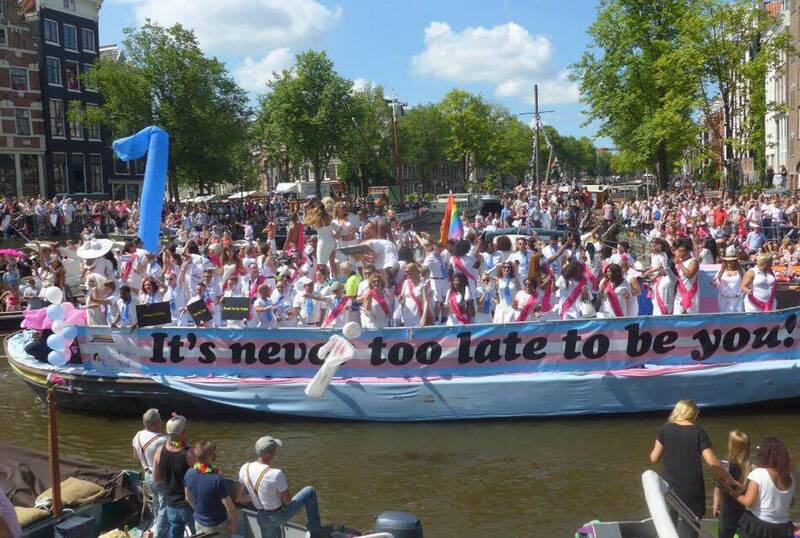 This year will be the first time the Trans-boat will be organized. And by chance: the jury of Euro Pride 2016 had given us the third place in the category “Statement”. We will be joining Pride Amsterdam again this year. Last year we showed that we exist. This year we will show what we can do. And that we are proud to be there! In the whole year of 2017 there will be activities organized around the theme of transgender identity and work. The Trans-boat is organized in relation to this theme and will be organized by the trans community from start to finish. So, the theme of this year is also ‘Our talents, our pride!’ Everyone has talents: coaching, technical, programming, administration, creativity, cooking, organizing and still much more. With the Trans-boat 2017, we will clearly see how talented transgender folks are – with one of the best boats of Pride Amsterdam. Below you will find a link where you can register to ride along with the Trans-boat. Registration can be done until June 18, 2017. There is always more registration requests than there are places. If you do not get a spot, than you will be placed on the reserve list. You will be notified if you can ride along by June 30. In order to ride along, we ask for a contribution for the costs. The amount is €50 per person. When you have gotten a spot, you will receive an email with information on how to send the €50 amount. After that point, you have one week to pay the amount (larger contributions are of course welcome, so that we can make the boat even more beautiful). In the case that we do not receive the contribution in time, the spot will be given to another person on the reserve list. Registering quickly is necessary for this fantastic event! Write in your information now in the link underneath to register.